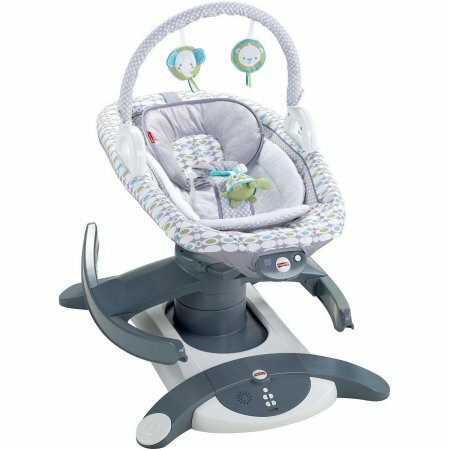 When my daughter Annabella was born, there were so many products and gadgets and gear out there for babies. We were so blessed by family and friends at our baby shower and beyond. I want to share the amazing products we used (and still use nearly two years into parenting). This post is not sponsored, but it does contain affiliate links. If purchased, I will receive a small commission at no extra cost to you. I really like this travel system because it is easy to use, lightweight, and the design is so cute. I don't know if this design is still available (Maci), but you can purchase a similar travel system here. When Annabella was just born, we lived in a tiny, one bedroom apartment. This Pack n Play came in handy as a changing table and a place to put Annabella when we were making dinner or watching TV. Honestly, by the time Annabella was one month old, we used the newborn napper as a place to store clothes, because we were exhausted and overwhelmed with baby stuff. We also used the shelves on the bottom to store extra diapers and wipes. I would definitely use this Pack n Play again when we have another baby, even if we don't use the cool attachments on the top. 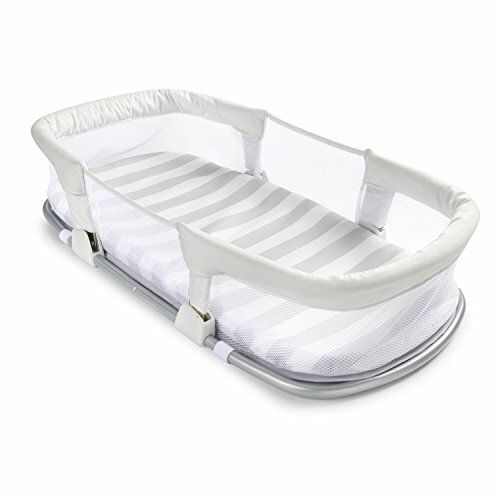 You can purchase this Pack n Play here. It's no secret that night time is difficult when you have a newborn. Annabella would not sleep unless she was curled up in a ball on one of our chests or laying right in between my husband and I. One of Jeremy's coworkers recommended that we use a co sleeper in our bed to keep Annabella close and safe at night. So, two-week-old Annabella and I made our first solo trip to Target and bought this co sleeper. I wish I could tell you it worked like magic, but it did not. By the time Annabella could sleep longer than 20 minutes without being held or cuddled, we started putting her back in her cradle at night time. We still used the co sleeper for naps at her grandparents houses until she outgrew it, so we got our money's worth. For our budget, this was a great buy. This glider was a surprise gift from my in laws, so I did not pick it out. At first I just thought, "cool, a cute place to put the baby while I shower or watch TV." But we actually used this thing A LOT. It is so versatile and fairly easy to use. It detaches from the base so it can be used as a rocker or a glider. We would often take it off of the base and move it all around our apartment. When Annabella learned how to sit up on her own I was sad because we wouldn't use it anymore! I would recommend this product in lieu of a baby swing and bouncy seat, however it is pretty big. It did not fit through the small doorway of our bathroom, so I did keep our small bouncy seat for her to lounge in while I showered. I would put the bouncy seat in the bathroom while I showered so I could peek out and check on her. Annabella began outgrowing her infant carseat before she turned one year old. Not only that, it was getting increasingly difficult to take her in and out of the car. So, we upgraded to the Graco 4ever carseat. As far as style, I really love this carseat. For safety, I truly trust the Graco brand. 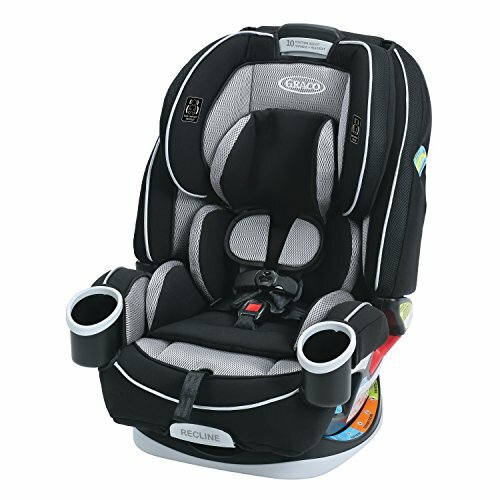 I recommend this car seat, however we did have some issues. First, this car seat is probably built with newer cars in mind. We drive a small Saturn sedan that is about 20 years old. Rear-facing this car seat was tricky. Only my husband could tighten the seat belt tight enough for this carseat to stay put. But if I put this seat in either of our parents newer SUVs (both about 5-6 years old), it fit perfectly and stayed put, whether it was tethered with the seat belt or the latch system (which our Saturn does not have). We had to turn our car seat foreward-facing much earlier than the recommended two years. The carseat grows with your child, but unfortunately our car did not grow with the car seat. I do feel much safer with the fit of the carseat in the foreward facing position, but I would have liked to keep Annabella rear-facing for a lot longer. 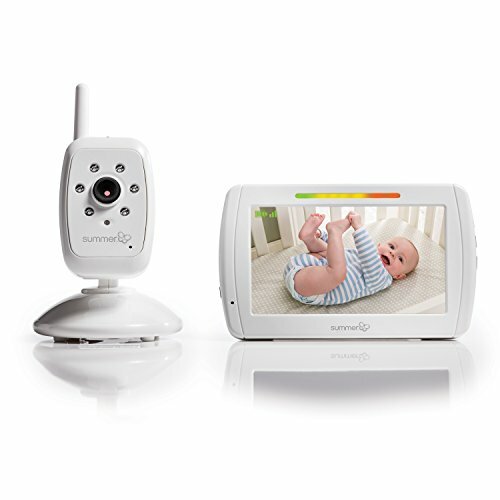 This Summer Infant video monitor is another great product we still use. It's not the best video monitor on the market, but it has some great features including night vision. It is also closed-circuit so it cannot be interfered with. I could go on and on about all things baby related, but that's where I'll end my list. I may follow up with a toddler gear post as well. Follow me on Instagram for life updates and new blog post announcements!